Our nation is challenged to provide appropriate and comprehensive healthcare for older Americans, whose ranks are growing daily. Access to high-quality, coordinated health and support services can help them successfully age in place. The Program of All-Inclusive Care for the Elderly (PACE®) is the gold standard of person-centered, integrated care that enables Medicare beneficiaries—most of whom also have Medicaid—who are eligible for nursing home care to remain in their homes. West Health and The John A. Hartford Foundation are supporting efforts to expand access to PACE across the nation. The PACE model of care is effective—demonstrating reduced rates of emergency room visits, unnecessary hospital admissions and long-term nursing home placements. Led by the National PACE Association, the PACE 2.0 project aims to grow PACE enrollment nationally from 45,000 to 200,000 individuals by 2018. The project provides current and new PACE organizations tools developed with leaders from the fastest growing PACE organizations. 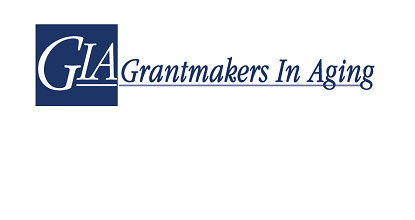 PACE 2.0 also facilitates learning and sharing, including through a newly launched Western States learning collaborative funded by the Gordon and Betty Moore Foundation for PACE organizations in California, Oregon, and Washington. 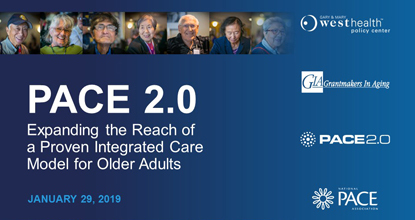 During this webinar, we will provide an overview of policy and research activities supporting the PACE 2.0 project, hear from a PACE site that tested the growth tools, and discuss opportunities to increase access to PACE in your local communities. We will also share an update on the Gary and Mary West PACE center in northern San Diego, opening in 2019. Thank you to West Health for supporting this webinar, and to The John A. Hartford Foundation for supporting our webinar series.